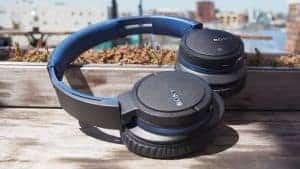 The JBL Synchros E40BTare proof that you don’t have to shell out a whole lot of money to get a good wireless, on-ear headphone. 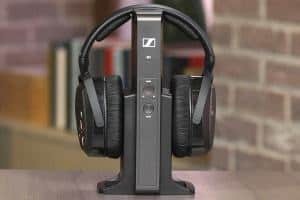 For under $100, you can have a set of great quality headphones that don’t have the sound quality of the other, super-expensive kinds, but don’t cut back on their quality despite their low price. So let’s get to the JBL Synchros E40BT Review. These headphones have a very sturdy design, with a thick headband and leather-covered earcups. Not only are they durable, but the headphone’s silky leather feels fantastic on your ears. 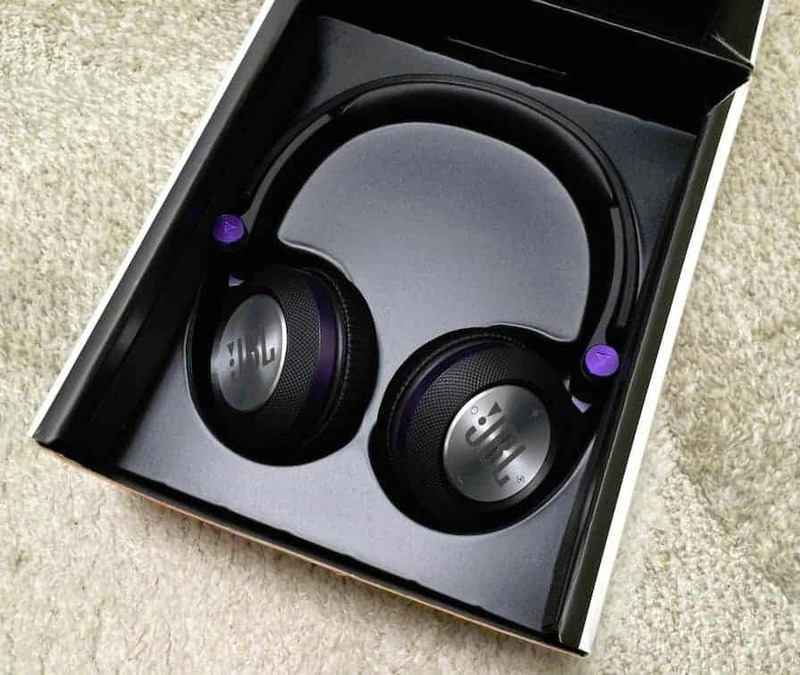 On both earcups is a large silver logo, which is placed in high contrast with any of the headphone’s color choices. They come in white, purple, black, and blue. However, the earcups are fixed in place, making it impossible to adjust them to the shape of your head. Because of this, you may feel uncomfortable wearing the JBL Synchros E40BT for any significant amount of time. But there’s not much you can ask for from headphones that are under $100. Around the logo on the right earcup are different buttons situated on a touch panel. There are volume buttons, track skip buttons, and a manage calls button. The earcups have an echo-cancellation feature to keep your calls crisp and without feedback. These headphones also have a “ShareMe” button, which lets you share your music or calls on another headset of the same model. The most obvious drawback to this is that you specifically need two of the same headset, which defeats the purpose of buying budget headphones. 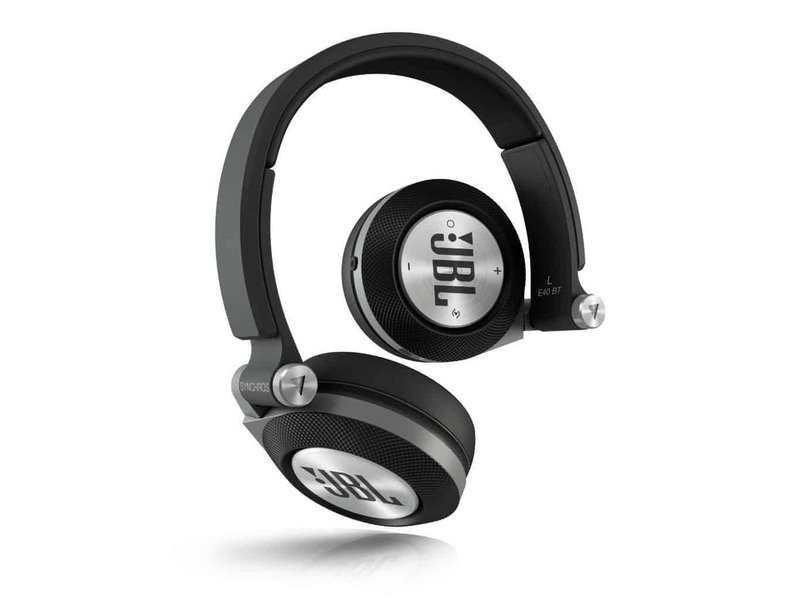 The battery life of the JBL Synchros E40BT headphones is 16 hours of music and 24 hours of talk time. This is pretty good for its price range. After a few minutes of idling, it will turn off automatically to reduce your battery loss. Also, for low-battery use, you can use an aux cable for wired playback.